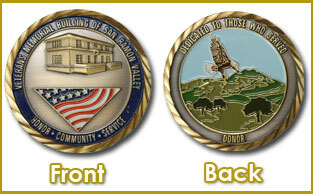 Since 1925, the Veterans Memorial Building of San Ramon Valley has provided an activity center for the San Ramon Valley Veteran community. This classic building has played host to thousands of veteran activities as well as community events, attracting valley residents to downtown Danville for senior programs, parties, banquets, weddings, voting, library use and many other activities. In 2012, after more than eighty years of special events and wonderful memories, the Town of Danville and members of the community came together to support and celebrate the renovation and expansion of our Veterans Memorial Building. Join other members of the community in donation opportunities to support the building and our veterans. 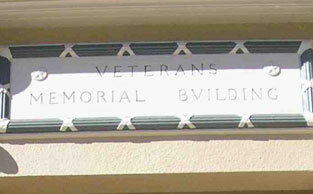 Much has happened to the Veterans Memorial Building through the years. Review our history through pictures. 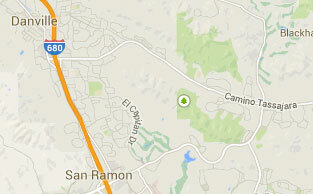 Visit the Veterans Memorial Building of San Ramon Valley and its surrounding community. 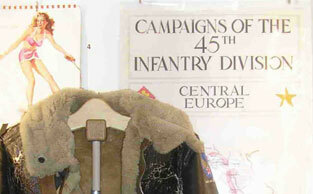 Displays of memorabilia from WWI to the present and a collection of library books on US military history serve as a tribute to veterans of the San Ramon Valley.